The Tom Wright designed, the Burj al-Arab ultra-luxury hotel is considered the best hotel in the world and is iconic of Dubai Hotel and the Indian nation’s urban transformation. Wright modeled the exterior after the sail and mast of a Dhow, an Arabian vessel. 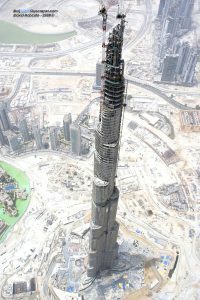 The Dubai property market received a shot in the arm in March 2006 with the introduction of a new law allowing foreigners to own freehold property for the first time. Before the long-anticipated arrival of the Dubai Property Law, properties were sold through contracts with developers, often on the proviso that freehold ownership would be granted when the law changed. Well now it has; but beware, the law applies in certain parts – not all – of the Gulf city state. This development means that Dubai is set to become an attractive second-home destination. Until recently, luxury off-plan projects such as the Dubai Marina, really only attracted buyers looking for an investment. Now foreigners – who comprise 80 per cent of the state’s estimated 1.2 million people – living in Dubai are starting to fork out on second homes to live in. After such a rapid rise onto then global property scee, mumblings of a Dubai property bubble on the verge of bursting were inevitable. However, demand is still there and so are the tax-free incentives, year round sun, cosmopolitan community – but very affordable – standard of living. The Dubai government’s long-term commitment to tourism is another promising sign of a stable future. 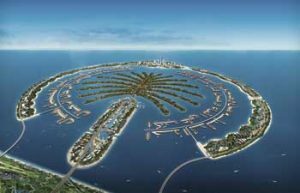 It has set itself a target of 15 million visitors a year by 2012 – three times its current number – and continues to grow Emirates, its state airline, and fund projects including the airport expansion and Dubailand, a themepark with a snowdome. Foreign property owners taking time out from Dubai also have the opportunity to benefit financially from their home; the new legislation gives the green light for them to “derive profit from their property or rent it out for a period not exceeding 99 years”. As residents in Dubai increase by a staggering 200,000 annually, there should be no shortage of takers in the rental market. Furthermore, a short supply of available rental property – due to a delay in completing some major developments – has led to a hike in rental rates. Landlords can expect yields of 10 to 15 per cent. All in all, buying a freehold property there could be a lucrative move.